October 20, 2015 – NASA’s Interstellar Boundary Explorer (IBEX) reached a milestone in its seven-year mission today with the publication of 14 papers in a special issue of The Astrophysical Journal Supplement. Data from IBEX, led by Southwest Research Institute (SwRI), allowed the team of international researchers to provide the most definitive analyses, theories, and results about the “local” interstellar space to date. 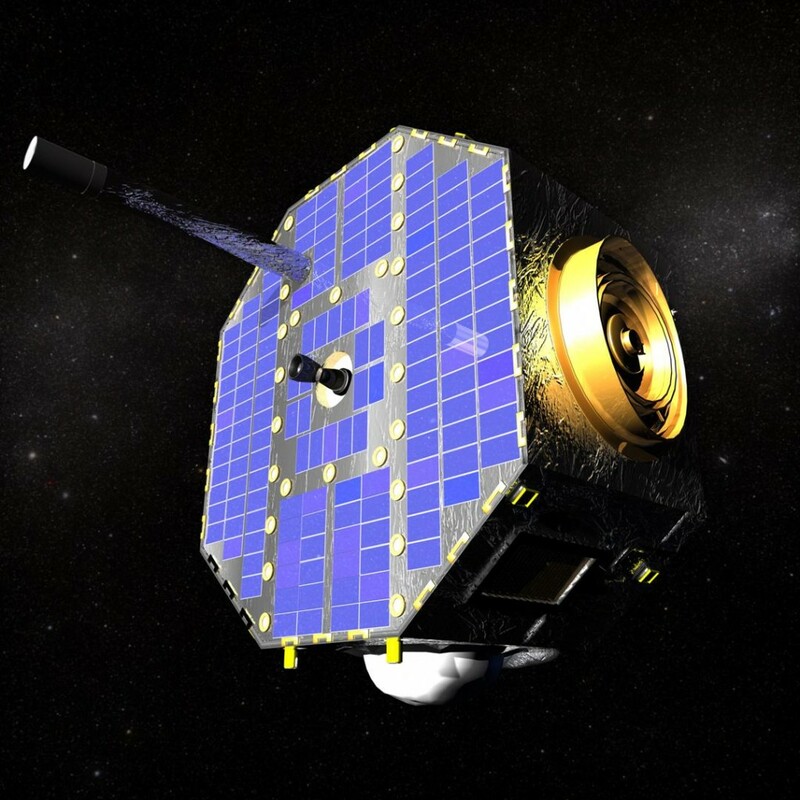 The IBEX spacecraft, which launched in 2008, uses energetic neutral atom imaging to examine how our heliosphere, the “bubble” in which our Sun and planets reside, interacts with interstellar space, the environment outside of the heliosphere. IBEX created the first global maps showing these interactions and how they change over time. IBEX also directly measures interstellar neutral atoms flowing into the solar system; the journal’s special issue focuses on these particles. Eight papers highlight the interstellar helium measurements taken by IBEX and NASA’s Ulysses spacecraft (launched in 1990) — the only two spacecraft to have directly measured the local interstellar flow of these helium atoms. The studies resolved an inconsistency in the direction and temperature of the interstellar flow in the data gathered by Ulysses compared to those taken by IBEX. Both data sets now confirm that the local interstellar flow is significantly hotter than believed previously from the Ulysses observations alone, and provide a great deal of insight into the direction the heliosphere is moving through the local material in the galaxy, as well as how fast it is traveling. “Collectively, these studies, along with previously published papers related to the IBEX interstellar neutral observations, open a completely new window on the local interstellar environment, its composition, its properties, and the likely processes at work in the interstellar space around the Sun and in the heliospheric boundary region,” said McComas. Initially a two year mission, funding for IBEX has been extended through 2017, with the potential for mission extensions well beyond that. The latest National Research Council Decadal Survey on Heliophysics emphasizes the urgent need for additional research in this area. One concept for a follow-on mission is the Interstellar Mapping and Acceleration Probe (IMAP), which the Decadal Survey recommended as an approximately half-billion-dollar, principal investigator-led mission for the NASA Solar Terrestrial Probes line. IMAP would use a combination of significantly higher resolution and sensitivity to build on the fundamental groundwork laid by IBEX. Team members involved in papers for The Astrophysical Journal special issue were SwRI; The University of Texas at San Antonio; Space Research Centre of the Polish Academy of Sciences, Warsaw, Poland; University of Chicago; Physics Institute, University of Bern, Switzerland; Space Research Institute of Russian Academy of Sciences, Moscow; Lomonosov Moscow State University; Institute for Problems in Mechanics, Russian Academy of Sciences, Moscow; Space Science Center, University of New Hampshire, Durham; and Naval Research Laboratory Space Science Division, Washington, D.C.; Max-Planck-Institute for Solar System Research, Katlenburg-Lindau, Germany; Department of Physics and Astronomy, Dartmouth College, Hanover, N.H..
IBEX is one of NASA’s series of low-cost, rapidly developed Small Explorer space missions. Southwest Research Institute in San Antonio leads the IBEX mission with teams of national and international partners. NASA’s Goddard Space Flight Center in Greenbelt, Md., manages the Explorers Program for NASA’s Science Mission Directorate in Washington.